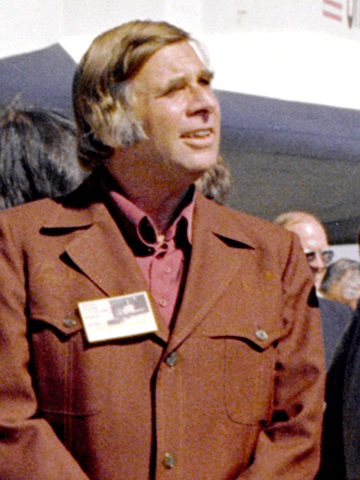 Gene Roddenberry was an American television screenwriter and producer. He passed away in 1991. He is best remembered for creating the original Star Trek television series. According to Roddenberry’s Wikipedia post, Roddenberry obtained a pilot’s license through the United States Army Air Corps-sponsored Civilian Pilot Training Program. He enlisted with the USAAC on December 18, 1941, and graduated from the USAAC on August 5, 1942, when he was commissioned as a second lieutenant. Roddenberry was posted to Bellows Field, Oahu, to join the 394th Bomb Squadron, 5th Bombardment Group, of the Thirteenth Air Force, which flew the Boeing B-17 Flying Fortress. He flew 89 combat missions in the Army Air Forces during World War II, and worked as a commercial pilot after the war. Roddenberry was awarded the Distinguished Flying Cross and the Air Medal during his flying service.